Looking like 3 non driver #Luas grades have voted to accept Transdev pay offer – meeting with driver grade getting underway. 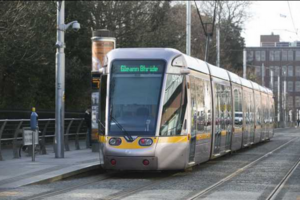 3 non-driver #Luas grades WON’T go out on strike on Thursday – even if drivers do. 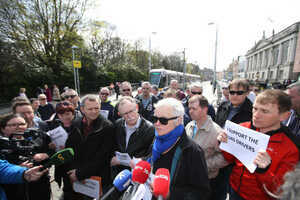 Posted in Misc and tagged Luas, transdev at 5:15 pm on April 25, 2016 by Broadsheet. Interesting that most people who swallow the media line then complained about how well paid the drivers already are didn’t even know that there was other Veolia staff involved too. Expect more of this. This being strikes and also the media demonisation of front line staff. I really wish people, especially some BS commentators, would start thinking for themselves. And a serious question. Why is the RTE’s Ingrid Miley the source of all truth in these sorts of things? What is her credentials? She’s a person who tweeted it. That’s all. It’s not a conspiracy as much as you’d like it to be. “hot” you should have gone to Specsavers. I’m just asking why she appears to be the source of all truth on labor relation matters that’s all. Do you have an answer or is the sneering above it? Because she’s the Industry and Employment Correspondent for RTE News. If she didn’t, you’d be moaning about her not doing her job. I like how those who don’t agree with you are failing to think ‘for themselves’. This (as with most things) are not either-or discussions. One is not compelled to chose either the drivers or Transdev. 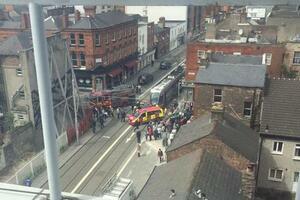 This is actually the first I heard of other staff being involved other than just going out in sympathy. I certainly didn’t hear it here and I certainly didnt hear it from some old queen. I have mentioned it on a number of other threads actually. and Gamble guy might tell us, as he seems to know everything. They managed to strike themselves out of an 18% increase to a 13% one and out of a ‘no strikes’ bonus. Fierce smart bunch of lads. I’ve spoken to someone who knows a bit more than me and most of you about this. He could be wrong, but he sounds right to me. I’ll explain it like a three-year-old because I’m only seven and a half. I hope some of you understand me. It’s about a five-year pay deal. They’re coming off one, starting another. One they can’t opt out of for another five years. An agreement if you like. The company is making huge profits, the staff are being asked to accept a rise that isn’t commensurate with their entitlement..
It’s the drivers who are on the frontline, taking the abuse and getting the flak. There’s a lot more to it than that. It’s the multinational corporate organisation who are at fault, not the drivers. -Sure I don’t even post here anymore. Is Moyestie around? It seems odd that they were looking for only a 10% pay increase and managed to get a 13% one, no? Unless the whole “they’re only looking for a 10% pay increase” stuff was complete poo? Ah. The truth comes out. And the non drivers pledging not to strike even if the drivers do is essentially a statement from them that the drivers need to cop on. Dissension within their own ranks. Keep on it, Truth, you’re about to crack the whole thing wide open!